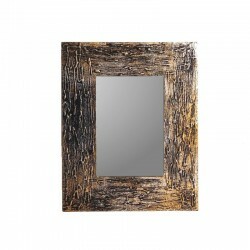 Rectangular wooden mirror, silvery and golden heatered, handmade in Bali. 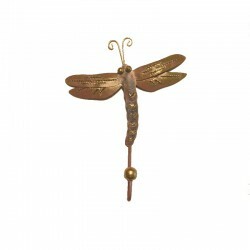 Dragonfly coat hanger hook in dark and satin metal, handcrafted Bali.Metal fastener welded to the back for a solid fixation.An easy-to-install coat hanger that will find its usefulness while bringing a touch of exoticism.Perfect gift idea for an original wall decoration. 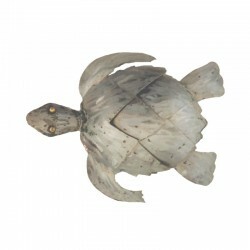 Pretty carved metal turtle handmade in Bali. 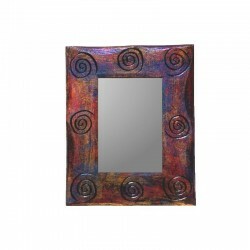 Rectangular wooden mirror, gold, purple and red mixed with spiral design, handmade in Bali. 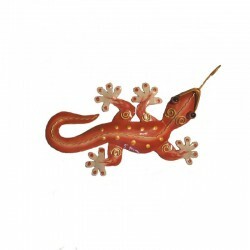 Red metal gecko, hand made in Bali. Metal fastener welded to the back for a solid fixation, horizontally or vertically.Ethnic wall decor to bring warmth to your home, original idea gift. 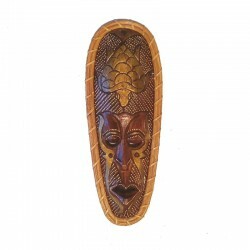 African mask in light wood with Turtle design, hand-carved in Bali.Pretty decorative object for an ethnic interior.String on back, fast to hang. 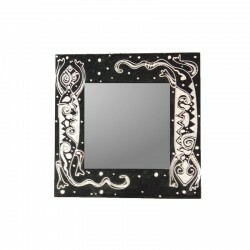 Square wooden mirror with white salamander design on black background, handcrafted from Bali. Frog coat hanger hook in dark and satin metal, handcrafted Bali.Metal fastener welded to the back for a solid fixation.An easy-to-install coat hanger that will find its usefulness while bringing a touch of exoticism.Perfect gift idea for an original wall decoration. 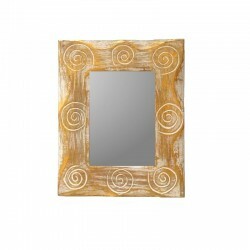 Rectangular wooden mirror, white and golden mixed with spiral design, handmade in Bali. 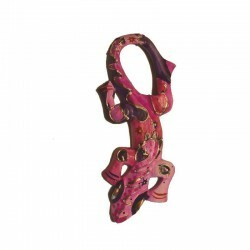 Gecko lizard painted wood, purple color with design, hand made in Bali. 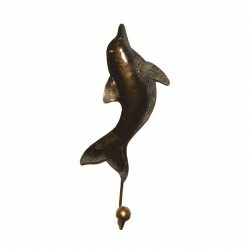 Metal clip at the tail.Beautiful wall decoration, ethnic and warmth, original idea gift. Indian wall hanging, 29.92 x 20.87 in, cotton and sequins sewn, Indian chariot. 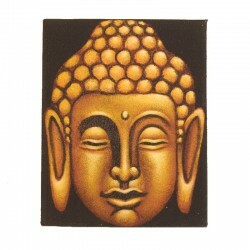 Painting on canvas of the Bali Buddha head, gold on black. This representation on canvas is mounted on a wooden frame of 2 cm, ready to be suspended. For a peaceful atmosphere full of wisdom and serenity. Its orientation is vertical. Realized by local painters of Bali. Rooster coat hanger hook in dark and satin metal, handcrafted Bali.Metal fastener welded to the back for a solid fixation. 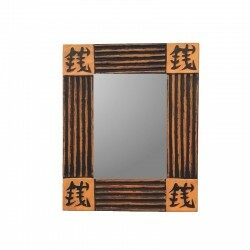 Rectangular wooden mirror, black Chinese calligraphy design on cream background, hand made Bali. 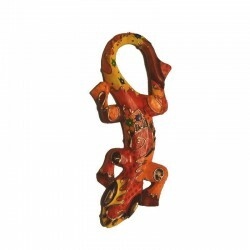 Gecko, lizard painted wood, red color with design, hand made in Bali. 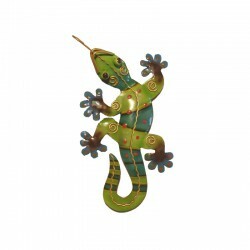 Metal clip at the tail.Beautiful wall decoration, ethnic and warmth, original idea gift. 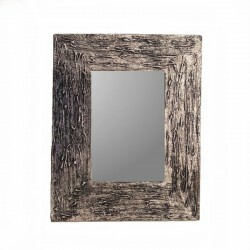 Rectangular wooden mirror, silvery, handmade in Bali. 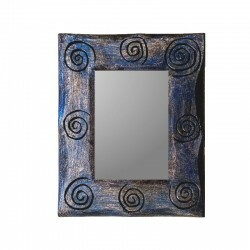 Rectangular wooden mirror, blue and silvery mixed with spiral design, handmade in Bali. 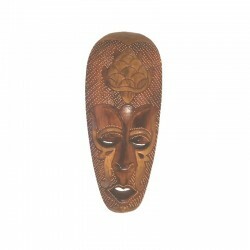 African mask in wood with Turtle design, rattan outline, hand-carved in Bali. String on back, fast to hang.Pretty decorative object for an ethnic interior. 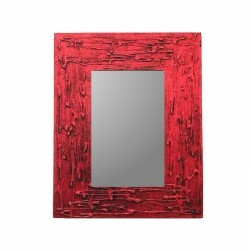 Rectangular wooden mirror, red and black mixed, handmade in Bali. 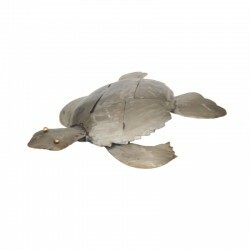 Metal turtle, hand made in Bali. 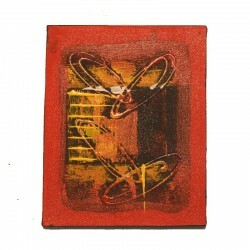 Abstract painting art on red background, handmade by local artisans in Bali. This representation on canvas is fixed on a wooden frame of 2 cm, ready to be suspended. For a trendy atmosphere. 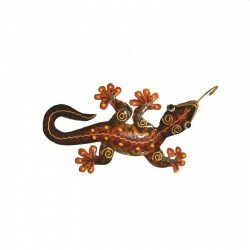 Metal gecko brown and orange, hand made in Bali. Metal fastener welded to the back for a solid fixation, horizontaly or verticaly.Etnic wall decor to bring warmth to your home, original idea gift. 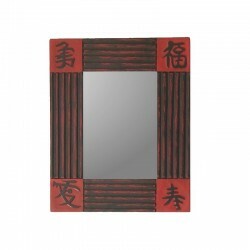 Rectangular wooden mirror, black Chinese calligraphy design on red background, hand made Bali. 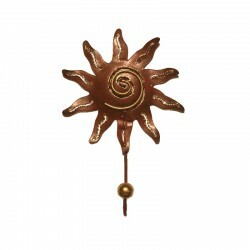 Sun coat hanger hook in dark and satin metal, handcrafted Bali.Metal fastener welded to the back for a solid fixation.An easy-to-install coat hanger that will find its usefulness while bringing a touch of exoticism.Perfect gift idea for an original wall decoration. 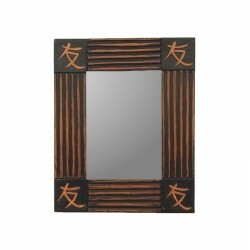 Rectangular wooden mirror, golden Chinese calligraphy design on black background, hand made Bali. 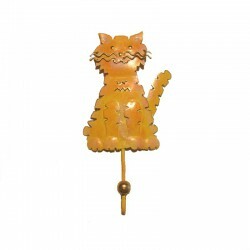 Coat hanger hook painted metal, depicting a cat, handcrafted Bali.Metal fastener welded to the back for a solid fixation.An easy-to-install coat hanger that will find its usefulness while bringing a touch of exoticism.Perfect gift idea for an original wall decoration. 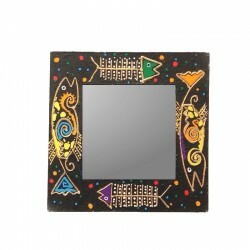 Square wooden mirror with colored fishes design on black background, handcrafted from Bali. 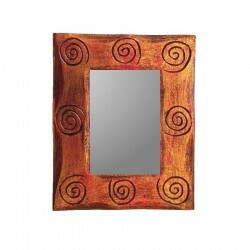 Rectangular wooden mirror, golden and red mixed with spiral design, handmade in Bali. 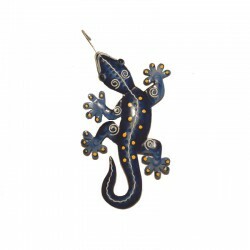 Metal gecko blue, hand made in Bali. Metal fastener welded to the back for a solid fixation, horizontaly or verticaly.Original wall decor to bring warmth to your home.Beautiful ethnic decoration, original idea gift. 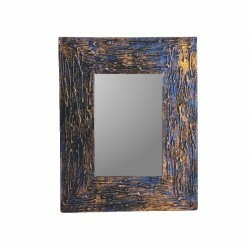 Rectangular wooden mirror, blue and golden mixed, handmade in Bali. 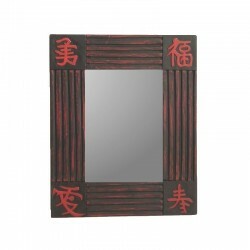 Rectangular wooden mirror, red Chinese calligraphy design on black background, hand made Bali. 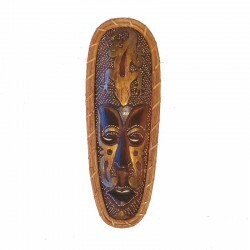 African mask in wood with Gecko design, rattan outline, hand-carved in Bali. String on back, fast to hang.Pretty decorative object for an ethnic interior. 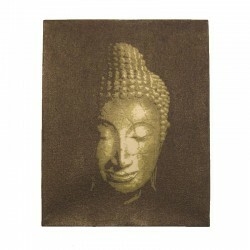 Canvas painting of the Buddha face, golden color, expressing serenity.Standing or hanging, this painting is perfect to give an zen and tranquility atmosphere to your home. Made with passion by painters from Bali. Vertical orientation. 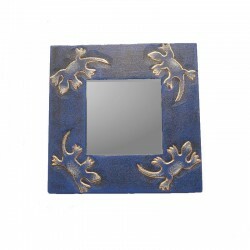 Square wooden mirror with Gecko design on mixed blue background, handcrafted from Bali.Original and practical wall decoration for ethnic and zen atmosphere.Mirror of 10 cm. Painting animals representing a butterfly. Naive art original and colorful. Humorous painting on canvas fixed on a wooden frame of 2 cm, ready to be suspended. Horizontal orientation. Realized by local painters of Bali. 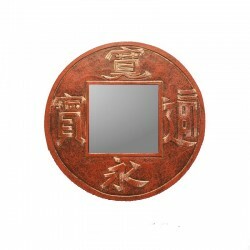 Round wooden mirror with Chinese calligraphy design on heather red background, handcrafted from Bali.Original and practical wall decoration for ethnic and zen atmosphere.Mirror 10 cm diameter. 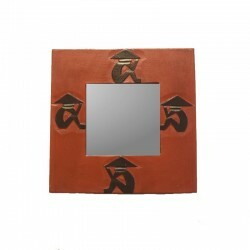 Square wooden mirror with Chinese hat design on red background, handcrafted from Bali.Original and practical wall decoration, ethnic and zen atmosphere.Mirror of 10 cm. 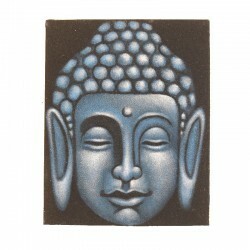 Ideal for a quiet and zen interior, painting on canvas Face Buddha, blue, expressing the calm and serenity. 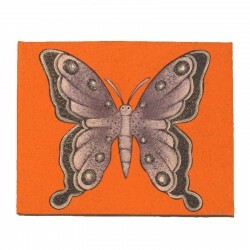 Standing or hanging, this canvas is fixed on a wooden frame of 2 cm. Made with passion by local painters from Bali. Vertical orientation. 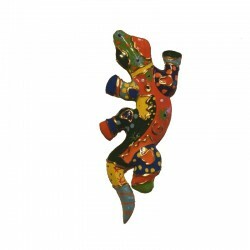 Gecko painted wood with design, multicolored, hand made in Bali. Fastener string behind.Etnic wall decor to bring warmth to your home, original idea gift. 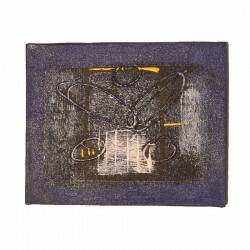 Abstract painting art on blue background, handmade by local artisans in Bali. This representation on canvas is fixed on a wooden frame of 2 cm, ready to be suspended. For a cozy atmosphere. 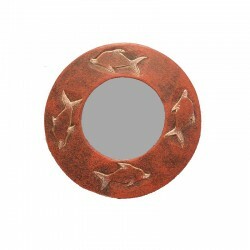 Round wooden mirror with Dolphin design on mixed red background, handcrafted from Bali.Original and practical wall decoration for ethnic and zen atmosphere.Mirror 10 cm diameter. Metal gecko red, hand made in Bali. Metal fastener welded to the back for a solid fixation, horizontaly or verticaly.Etnic wall decor to bring warmth to your home, original idea gift. 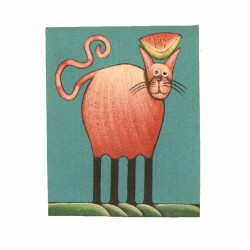 For a colorful and original atmosphere, animals naive painting representing a cat on an blue background, watermelon on head. Humorous painting on canvas fixed on a wooden frame of 2 cm, ready to be suspended. Vertical orientation. Realized by local painters of Bali.